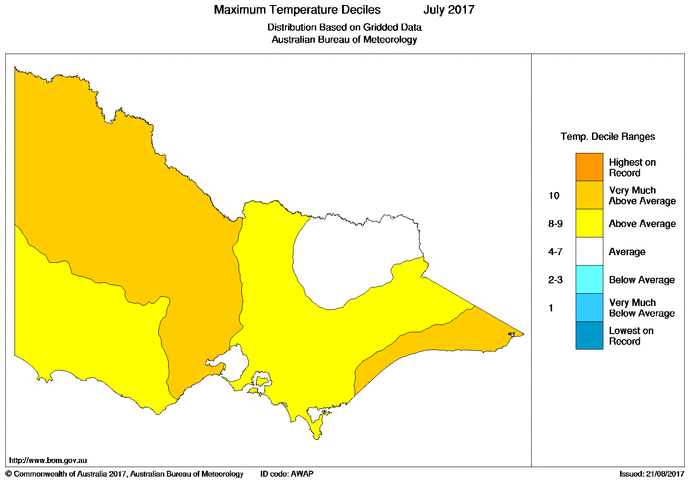 Between good snowfall on Mount Baw Baw and cold nights earlier in the month, it might come as a surprise to some that Gippsland’s July was unusually warm and dry. “A large area in the southeast recorded rainfall in the lowest 10 per cent of July totals, with rainfall averaged across the state the lowest since 2010,” the report stated. 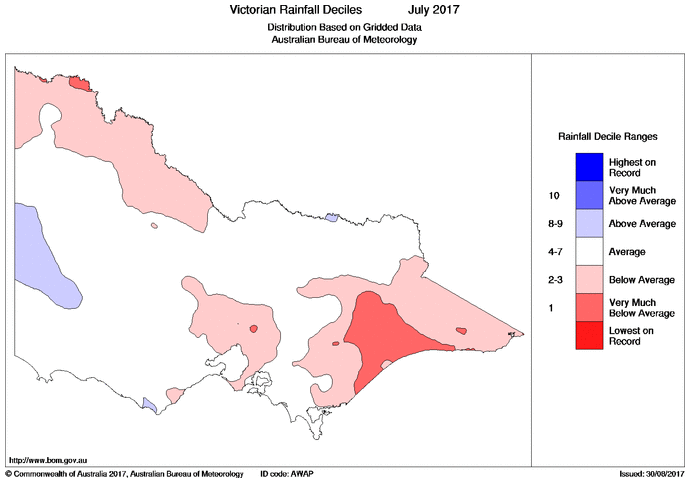 “The below average July following on from a record dry June gave Victoria its second driest start to winter on record, after 1982. The BoM data shows Morwell in the Latrobe Valley recorded two record July temperatures – its highest on the 29th (22°C, up from 21.8°C in 2009), and its lowest on the 3rd (-4.8, down from -3.5 in 1994). All areas of the state recorded “above average” and “very much above average” mean daily maximum temperatures, apart from an area in the north east which met its average. Melbourne and most of Gippsland recorded “below average” and “very much below average” rainfall. An area near the border of Wellington and East Gippsland shires logged its “lowest on record” rainfall, while almost all of South Gippsland and a small area of Latrobe and Baw Baw shires achieved average rainfall. You can find the detailed report and more graphs at bbcit.co/bomvms. This article was first published in the 4 August 2017 edition of the Baw Baw Citizen newspaper.